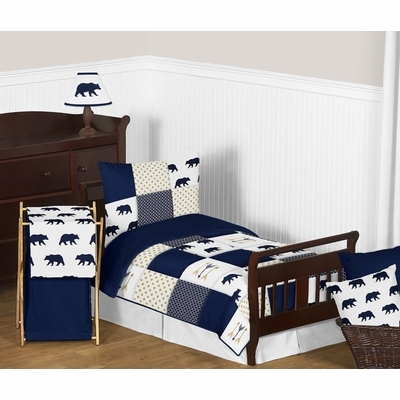 Big Bear Toddler Bedding set will help you create an incredible room for your child. 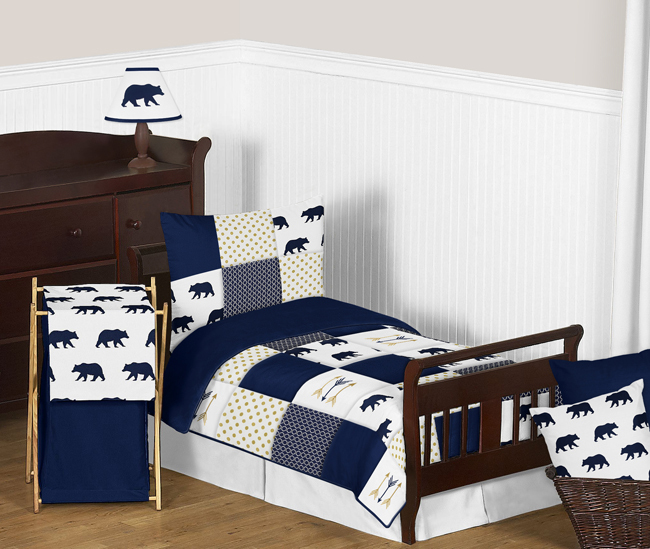 This designer patchwork boy bedding set uses an impressive array of exclusive fabrics combining a bear print, mini hexagon print and a metallic gold dot print combined with embroidery works of gold and navy arrows. This collection uses the stylish colors of navy blue, metallic gold and crisp white. The design uses brushed microfiber and 100% cotton fabrics that are machine washable for easy care. This wonderful set will fit most standard cribs and toddler beds.